Matthais Exquisite melancholy. 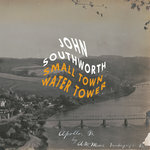 If you like to lay back and let your thoughts flow from time to time, John Southworth is your man. Favorite track: Fiddler Crossed the Border. 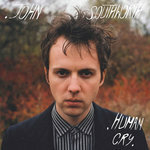 John had a loose idea for the record’s concept before entering the studio, but as sessions progressed alongside co-producer Jean Martin and ‘The South Seas’ (John’s band of Toronto’s top avant/improv/jazz musicians), the album found its unique shape. “The main thing was getting the right take for each song. But listening back it was clear what songs would go on each side - I think the musicians instinctively knew all along.” The resulting performances are finely nuanced, mature and luminous – John and his band have gifted myriad variations of rich, transported feeling, gracefully supporting John’s lyrical and melodic wonders. 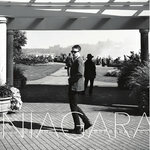 Truly Niagara in power and scope, Niagara vehemently counters today’s current rapidity, with a format designed to draw new meaning with each listen. In the last five years John has traveled a rogue whirlwind, releasing the cassette-only SPIRITUAL WAR cassette tape (2011) - a series of modern peasant songs recorded on a shoebox-size Sony cassette corder model TCM-939, an anti-record of actual rejected jingles (Failed Jingles for Bank of America & other U.S. 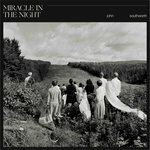 Corporations - 2012), the grave, minimalist synth-rock of 2009’s Mama Tevatron quickly followed by Human Cry's stunning, elegiac balladry, the grand delusional showtunes of West Coast Persona EP, and Easterween (2012) - a surreal cabaret-operetta featuring the Klezmer-Stravinskyesque arrangements of Juno-winning composer-bassist-cellist Andrew Downing, hailed as “undoubtedly the most ambitious thing Southworth – or, for that matter, any other Toronto singer songwriter in recent memory - has done” (Michael Barclay, The Record).